Los Angeles, July 25 (IANS) Singer Justin Bieber has canceled all the remaining shows of his Purpose world tour after performing 154 shows. According to a source, Bieber made the call on his own after much consideration, reports variety.com. “It wasn’t a decision made overnight. He’s had some time off and was able to consider his commitments,” the source said. Bieber has not yet commented on the tour cancellation. But a statement issued on his behalf read: “Due to unforeseen circumstances, Justin Bieber will cancel the remainder of the Purpose World Tour concerts. Justin loves his fans and hates to disappoint them. He thanks his fans for the incredible experience of the Purpose World Tour over last 18 months. To cancel the remaining gigs of the tour, which was headed to Asia (Japan, Hong Kong, Philippines and Singapore) in addition to more US dates, will not have big impact on the concert-goers as as some tickets went on sale one week ago only. So, refunds will be available quickly. 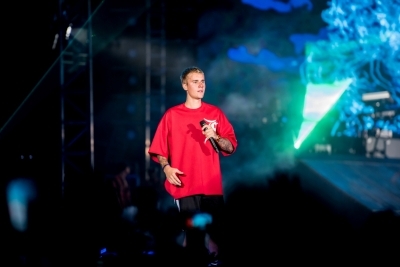 Bieber had performed in India as part of the tour on May 10.